I recently bought a used 15x30 ovation pool. while removing the pool I damaged 4 of the bottom plates (that's what the owners man. calls them, part #04009) and the dealer where the pool was bought is no longer in business. I've been trying to find where I can get some with no luck, any help would be greatly appreciated. Hi Jason. 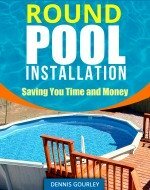 These pages might help a little finding above ground pool parts. If it were me I would make some repairs to the ones you have and reuse them. At least if they are no worse off than the one in the photo. The plate just needs to hold the upright in place and the bottom rails. It looks like you would have no problem with the uprights. The bottom rails could be laid on the plate and then held in place with a small screw, going through the rail into the plate. It just needs to stabilize the rail long enough to get the wall up, after that the rails will stay in place by themselves. We took down our 27 foot Ovation pool. Some of the bottom plates broke or were broken. One is completely broken with no way to use. I noticed someone else had been looking for these on this site. I was just wondering if they had any luck finding replacements..part number 04009. I have the part you are looking for. Foot plate for Ovation Alexandria, Palladian, or Classic. They are all the same, but different colors. If you still need them, feel free to call 405-789-5500, ask for Randy. Our store still has some inventory of Ovation Parts. Contact us at 210-646-7665. 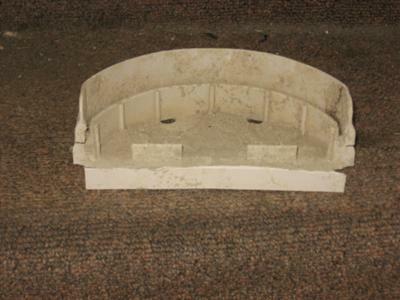 Get a fiberglass repair kit and glass the outside of them. Did anyone find parts for the ovation pool 15x30 oval? I need 3 of this part no. We are trying to put our pool up that we got used from family and a few of the bottom tracks were broke and now we need at least 2 of them. Would like 5 and cant find anywhere online to get them. Pool stores said to look online but nobody has anything even close, or anything that we can find. Does anybody know where I can get them?? Those who might have them say we need the name of the pool and all we have is the number and the Ovation brand name. Not the actual name of the pool. Would really appreciate any help that anyone can get me!! Hi, do you still need foot plate like these ? I need help! My Ovation pool rusted n split open. The 800 number for customer svc doesn't work. The pool is under warranty. Do you have a contact number or website? From what I found out unless we find them online were sol. If you find them let me know. If you give up Ill buy yours. I need 1 or 2. I am also looking for the inner and outer buckles for pool. Can't find them any where. If anyone has any ovation pool parts I'm looking for the lights with the housing my pool has the light placements. If anyone had any pool they're parting out let me know. Lilhill21@yahoo.com. I am looking for Ovation foot plates. Does anyone know where I can locate some? I bought a Muskin 27' x 48" pool in 2002. I took great care of that pool. 3 weeks ago I heard a loud noise and the pool split in half. Is tehre a number I can call for warranty. Looking for 6 Ovation foot plates 04oo9. Does anyone have any?